To keep your fleet successful and operating with minimal downtime, fleet maintenance is a must. Losing one vehicle for even a day can throw off your whole business. A delayed delivery disrupts your customers and could potentially lead to a lost client. Nobody wants to lose a client. An improperly maintained fleet also leads to a shorter lifespan for your vehicles or possibly being held liable for an injury due to neglect. Having a well-trained driver and scheduled preventative maintenance is the key in helping to reduce breakdowns. Each driver should be knowledgeable in proper inspection procedures; inspect the vehicle before, during, and after each trip; and be able to effectively communicate any probable cause for concern. Preventative maintenance should be performed and recorded at regularly scheduled intervals according to your vehicle’s owner’s manual. 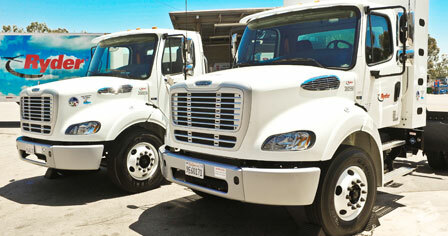 Most fleets operate under severe duty operating conditions and should be scheduled as such. Please feel free to visit our Tech Tips for more information about preventative maintenance and driver inspections.